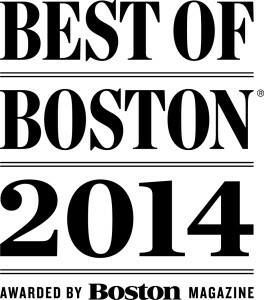 Best Antiques in Boston | Skinner Named Best of Boston by Boston Magazine for 2014 | Skinner Inc.
Boston, MA – August 21, 2014 – Skinner, Inc. is pleased to announce that it has been named Boston magazine’s Best of Boston 2014 – Best Antiques. Skinner expert appraisers host auctions of rare, beautiful, and one-of-a-kind objects at 63 Park Plaza in downtown Boston. Featuring everything from jewelry and wine to paintings and furniture, Skinner auctions attract collectors, dealers, and art and design enthusiasts from New England and around the world. “We are so pleased that Boston magazine has recognized Skinner as one of the best places to shop for antiques. Our neighbors in Boston regularly enjoy a superbly curated selection from estates and collectors worldwide,” said Karen Keane, CEO, Skinner, Inc.
Skinner auctions and auction previews are free and open to the public. All are welcome to step intoour Boston Gallery and see the rare objects and unique finds coming up for auction.View the Skinner auction schedule for a list of upcoming auctions, held in Boston and Marlborough, MA, and online. This entry was posted in News and tagged antiques in boston, awards, best antiques, best of boston, boston, boston antiques, Boston Magazine, recognition by Skinner. Bookmark the permalink.